UBUNTU is a word that originates from the Nguni Bantu language meaning “humanity towards others”, but it is much more than that and so hard to define with just one word or sentence. Through Crochet-A-longs, designer Dedri has found a community that constantly reminds her of the essence of Ubuntu: connection, community, and mutual caring for all. The talented Dedri Uys from the blog LookatWhatIMade designed this beautiful CAL in collaboration with Scheepjes. The pattern for the beautiful hexagon blanket is available in three different sizes, using three different yarns. You can, therefore, make a Small, Medium or Large version. The CAL starts on Wednesday 12 September and will last for 12 weeks. Every Wednesday afternoon, a new part of the free pattern will be released. The pattern will be available as a PDF file. The PDF files can be downloaded through the Dutch and the International Facebook group and from scheepjes.com (see below). Handy video tutorials will accompany each pattern. These will be made by Esther from It’s all in a Nutshell. Three sizes are available. Small, Medium and Large. The Small blanket is made with Scheepjes Cotton 8, the Medium blanket is crocheted with Scheepjes Stone Washed and the Large blanket is crocheted with River Washed XL and Stone Washed XL. 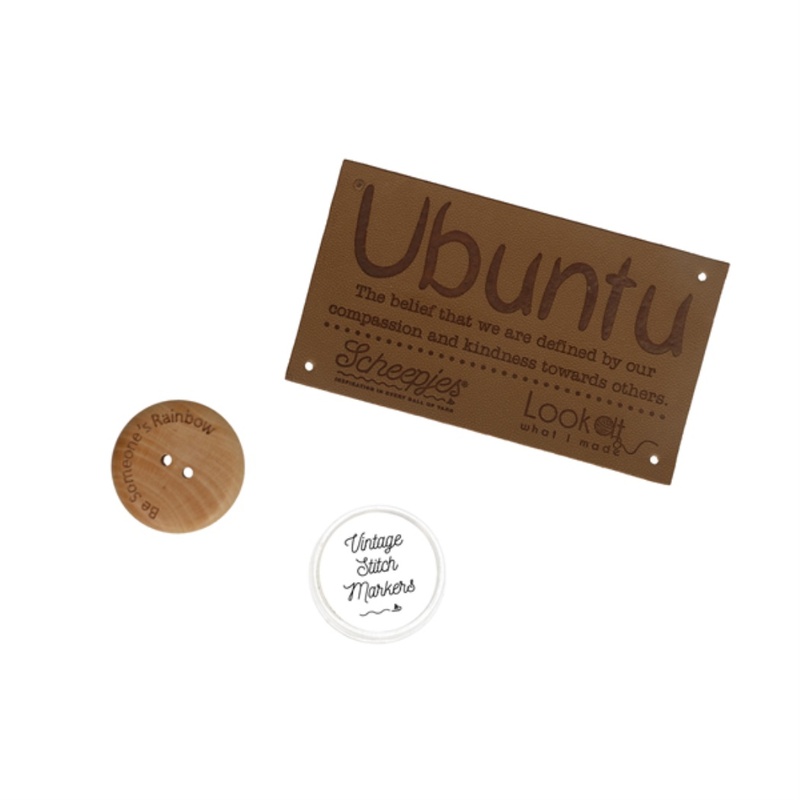 Would you like to buy an official Ubuntu Kit?! 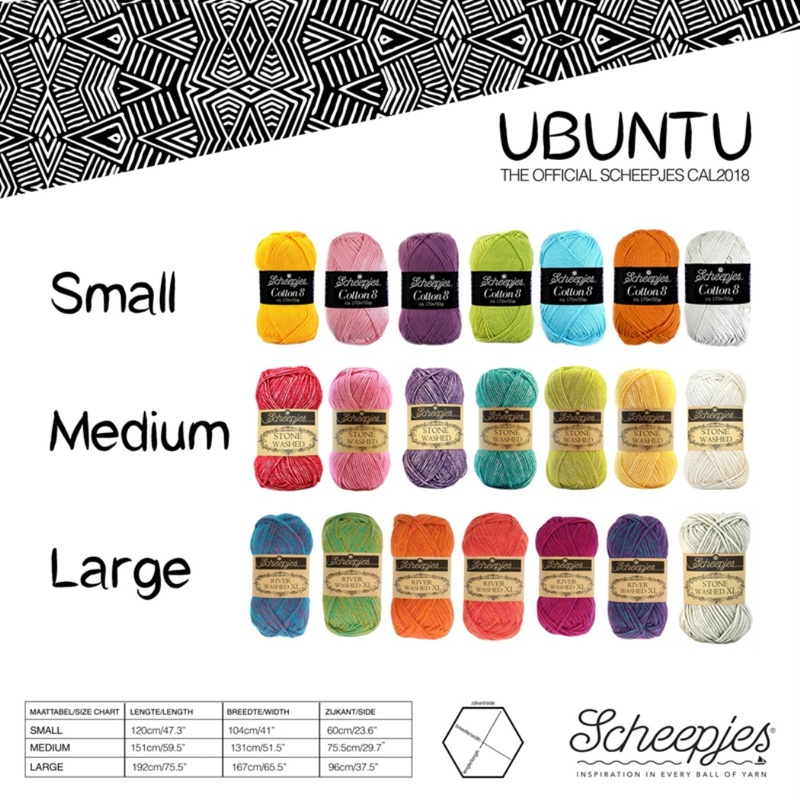 Go to our Store Locator for the nearest Scheepjes dealer.